RFIB Group Limited, the international and Lloyd’s specialist insurance and reinsurance broker, has launched an MGA today, named Limehouse Agencies, with the goal of positioning it at the forefront of the disruption facing re/insurance from efficient capital and technology. Limehouse Agencies, which has been launched as an MGA subsidiary of TopCo, the RFIB holding company will aim to leverage the latest innovations in re/insurance and risk transfer, which will include a capital agnostic approach and use of insurance technology (InsurTech) innovation where applicable. 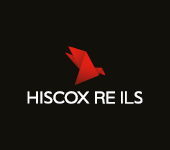 Jack Gressier, previously the CEO of Axis Insurance and COO of Axis Capital, as well as Chairman of Herminius a strategic advisory firm, is to be the Non-Executive Chairman of Limehouse Agencies. He returns to the re/insurance industry having made a private investment in and been appointed as a Non-Executive Independent Director of RFIB’s holding company TopCo. Technology will play a key role, with Insurtech innovations a targeted way to add efficiency and deliver an enhanced service to its clients. Alongside that its clear from Gressier’s comments that third-party reinsurance capital will also be an option for the new MGA, so Limehouse looks set to adopt a capital and capacity agnostic approach to offering the best risk transfer products possible. Gressier continued, saying that “Limehouse has been established to be at the forefront of this development,” which while ambitious, as an independent broker such as RFIB targeting the disruptive forces of efficient third-party capital and Insurtech, will be considered. It is perhaps exactly where the firm should be looking to differentiate itself right now. Independent and smaller brokers find themselves in an interesting position right now. With both the insurance and reinsurance market pressured to the point where it is clear that business models are going to continue to change, taking the lead and looking to drive this change from the forefront is perhaps the best strategy for success. Building out a platform that marries risk origination, RFIB remains a broker of course, but also allows for third-party capital to access risk more directly, through the Limehouse MGA platform, while also leveraging technology to channel risk to capital as directly and efficiently as possible, could ultimately result in better margins, while also bringing down the cost of risk transfer. That’s good for the market, and RFIB clearly believes good for it as well. For the ILS market and third-party investors, the opportunity to access risk by leveraging the platforms of independent brokers through MGA’s, serves to expand the range of opportunities available to them.